OVATION Elegant and sophisticated, the OVATION chair is the ideal choice to enhance your conference room. Its enveloping back and suspension seat will procure superior and durable comfort. The OVATION is also available as an executive task chair. A clever choice. 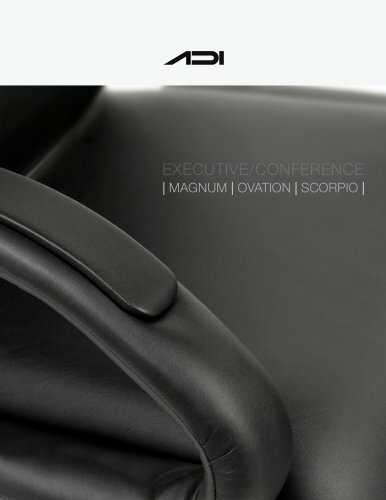 SCORPIO The SCORPIO executive chair breathes prestige and contemporary elegance. Its sculptured design, combined with the legendary ADI ergonomic SUSPENSION SYSTEM, makes an unprecedented statement of style and comfort.